Both flash and non flash version with a landing page. Features: Paypal buy now buttons in their shopping cart. 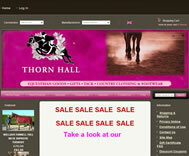 "I am the proud owner of my New revamped website for my business that was going now-here. I have been a registered business owner since 2007 with a simple website that customers just seem to pass by, so I had to find something that would invite people to want to look at that was pleasing to the eye and found it at Entheos. Thank you for providing such original templates that could be so easily and professional modified to represent my brand on the internet. I cannot say enough positive things about my experience with your company. I would certainly recommend it to any of my colleges who are contemplating extending their brand to the internet. My experience with Entheos was great from start to finish, and then some. Everything from how the templates work, to pricing and customization was explained up front so there were no questions. The prices were generous, but the service exceeded expectations. I’m picky when it comes to presentation, so I wanted a website that I could customize to my liking…and that’s exactly what the web designer helped me with. My old site was very plain and cumbersome and I needed something stunning New and exciting to allow customers to view my products and want to stay and look and not just pass me by. I am so excited and happy about my experience with Entheos! My website is sooooooo beautiful and I have already gotten so many complements about it. 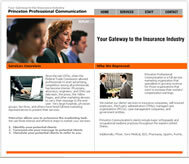 I would recommend Entheos to any one who is looking to have a beautiful and professional website. Thank you so much! Clement, my designer, was very easy to work with. Understanding, patient, kind and completely professional. He exceeded my expectations." "I would just like to thank you for all your help and expertise thought this entire process. You displayed complete professionalism and you were there for ALLLL my many questions and changes. You did a beautiful job on my page, and you gave me complete ease in your skill set. I thank you agin, and I can't wait to work with you and your team again. " "I wish we had begun our website design with Entheos years ago…our old website was a basic template design and did not have many customizable options. The website looked dated and so boring to look at that I had not updated it in over a year. After completing our project with Entheos, I am finally proud to direct people to our website and we are hearing good things about our current site. Appointments are up and we have a lot more content on the site explaining our services and discounts. The team has always been patient and more than willing to do whatever we asked. Our business is fortunate to have worked with such a fine design team, and we highly recommend them to anyone looking to enhance their web presence… Many thanks…"
"I'd like to thank Entheosweb for their professional work in customizing my website www.mitchelladvisory.com. The quality of their work exceeded my expectations and the price for their work was very reasonable. I am in the process of developing another website and I will unhesitatingly use Entheos for customizing this site as well. Thank You Rekha for your Web Design assistance!" 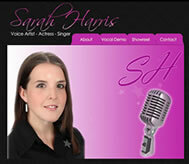 "I really love the the website Entheos designed for me. I made a really good choice. The price was reasonable and the designer Rekha walked me through the steps patiently. I'm not very computer literate so a lot of things I had no clue what they were talking about. Rajan was very active in keeping touch and making sure things were going fast and all my questions were answered. My clients have sent me many emails complimenting the site. It's quite beautiful and original! " "Clement, my designer, was very easy to work with. Understanding, patient, kind and completely professional. He exceeded my expectations. My web site is better than I imagined. Entheos under promised and over delivered. It was a pleasure working with them. I will use their services again." 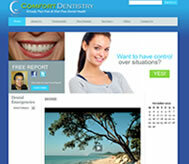 "This is the first time I’ve ever been pleased with the process of getting a website designed. Entheos really gave me the fast and professional service I needed for my business. There are so many people like me that have had bad experiences and have gotten frustrated with the whole process of getting a quality website. If I ever run across them, I’m going to recommend Entheos. Thank you for making this an experience I will never forget!" "My experience with Entheos was great from start to finish, and then some. Everything from how the templates work, to pricing and customization was explained up front so there were no questions. The prices were generous, but the service exceeded expectations. I’m picky when it comes to presentation, so I wanted a website that I could customize to my liking…and that’s exactly what the web designer helped me with. She had a good understanding of what I was trying to explain, and was very patient and professional with all my requests. Communication was excellent and timely. Even weeks later after my project was finished, I went back to the web designer for a small change that I was willing to pay for. I came in my office the next day only to find the change was already made and for no charge! I just want to thank the team at Entheos, and recommend anyone give them a chance, you won’t regret it. " "I am so excited and happy about my experience with Entheos! 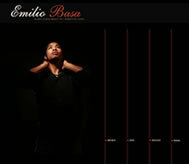 My website is sooooooo beautiful and I have already gotten so many complements about it. I would recommend Entheos to any one who is looking to have a beautiful and professional website. Thank you so much!" " The templates on this website are stunningly beautiful and presented in a manner that is professional and befitting the respective occupational category they are found in. The Web designer I dealt with was professional and courteous in spite of the numerous revisions I had requested. I thought for sure that she would be frustrated. There was not even the faintest hint. The finished product is exceptional. Every potential client who contacted me through my site commented on how impressed they were with the layout and the visual presentation of my site. They frequently tell me that they have never seen anything like it and that it is so clean and professional. Thank you for providing such original templates that could be so easily and professional modified to represent my brand on the internet. I cannot say enough positive things about my experience with your company. I would certainly recommend it to any of my colleges who are contemplating extending their brand to the internet. Thank you for providing such a high quality service at such an amazingly affordable price. " "As a small town pediatrician, it is difficult to come up with the resources to keep up with technology these days. But thanks to Entheos, I now have one of the best pediatric web sites on the Internet…at least, that is the feedback I have received. Jayanthi and Rachna are absolutely wonderful - very hardworking, talented, knowledgeable, patient, persistent, and uniquely pleasant to work with. Through their tireless efforts, I now can stand shoulder to shoulder on the Web with large, big city pediatric practices. Plus, they achieved all this for me without breaking my bank account. Their work is, without question, one of the best bargains on the Internet! Don’t just take my word for it – check out my site at www.madisonpediatric.com and see what a superior job they did. But, in addition to their work outstanding talents, they have some of the finest ethics and the biggest hearts I have ever encountered. I am proud to count them not only as business partners, but, truly, as friends. Thanks, ladies." " After considering several web development firms to create my new company website, I decided to go with Entheos. 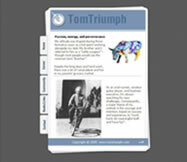 Originally I thought I would have a complete custom site built from scratch. After looking through dozens of Entheos templates I settle on a template created in Flash; through the process and the understanding of my needs, it was recommended that I use that template, customized it to my specifications and develop it as an HTML site. I knew at that point the Entheos Team understood what was going to work best for my project. I had a great experience from the beginning of the project through the launch of the website on the www. Rekha is an extraordinary artist. She created my logo and helped me through the color choices, the layout, pages, links, everything. I always knew I was in control of the project with a guiding hand from Rekha. I had a vision and Rekha made it come to life. I have had great reviews and comments of the site and I couldn’t be happier.."
"After months of frustration trying to find a reliable and affordable local developer to customize the website template I purchased, I decided to contact Entheos. I should have done this at the outset--your price is unmatched, your quality is top-notch, and your customer service is excellent. Once I made the decision to go with Entheos, I was contacted within a day, and within only a few more days I was looking at my fully-functioning site. The designer assigned to customize my template did a great job, and kept in contact with me about additional changes and modifications. It was far easier than I expected, and from start to finish could not have taken longer than 10 days. 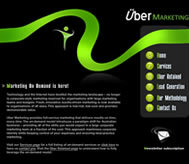 Great job, and I will be recommending you to anyone I know who needs to design a website." "Thank you for exceeding our expectations. Your quick communication and computer expertise helped to make the template customization process much easier than we had originally anticipated. Great job!" "I am the owner of First Defense Consulting, Inc a veteran-owned small business specializing in assisting biomedical companies, hospitals, universities and non-profit organizations secure US Department of Defense Medical Research and Development contracts. I wanted to establish an internet presence for marketing purposes and conducted a significant amount of research to find a website development company. I hired Entheos because they seemed to offer the best product for the price. 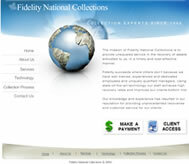 Entheos customized a template I sent them and created a very professional looking website (www.firstdefenseconsulting.net). Entheos was very responsive and professional and I would highly recommend them to all small businesses like mine." 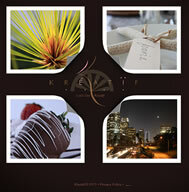 "I do want to thank the entire entheos staff for their professionalism, creativity and on time delivery. I was quite impressed with the focus on making sure the product was as requested and the deliverable was outstanding. Viewers have been quite impressed with the superb finish. The entire entheos team certainly proved that communication and delivery can occur across time zones with great customer satisfaction – and at an affordable price. Your patience with the numerous edits were quite appreciated! I hope we get the opportunity to do business again." 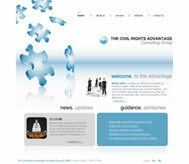 "Working with Entheosweb for a second time has a been a pleasure. Their service was excellent the first time and it just keeps getting better each time I utilize them. They are very professional, they take the time to listen to what my concerns are, they adopted them to my website and guide me to making my website even better. It has been a great experience working with Clement for a second time in a row and seeing his professional and timely work of art. I am very satisfied and will definitely be using their services again at Entheosweb should I need website customization services again. And I would highly recommend that anyone in need of this service, visit Entheosweb FIRST!" 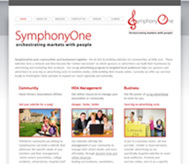 "Entheosweb had such a large variety of templates, it was easy to find one that met my needs. 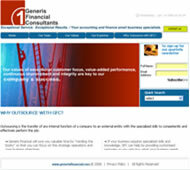 I also was very satisfied with their service and very pleased with the results of the customization of my page. 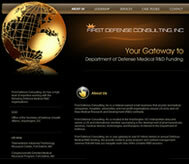 They were very diligent and accomodated all the needs that I had for my website. I would highly recommend them any day. " "The gentleman at Enthosweb customization have been pleasure to work with. The company has been very responsive to my requests for modifications and in good time frame. I plan to use them for continuous modifications and I would recommend them to anyone who needs to customize their website. " "When I chose entheos to design my website, I was a little uncertain. Having little knowledge of web design myself, I wasn't sure what I needed to look out for when choosing a designer. However, now that I have seen the finished product, I couldn't be happier! The team at entheos were extremely professional, doing all they could to make sure my website was the best it could be. They were very reliable, keeping in contact with me everyday and they were also quick to make any changes if needed. I would like to thank the team at entheos for all their hard work. 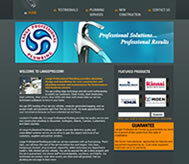 I am extremely happy with my website and will definately recommend them to others. To those of you who are still a little uncertain - Choose entheos, you won't regret it." Mark Dunning - StartupHomeCare, Inc.
"Thank you for doing such a professional job with our web-site www.startuphomecare.com. This is the second web-site you have created for us (the other one was www.americanhomecareonline.com) and we are again very happy that we chose you to do this work for us. Your quick response time (24hrs) on our change requests has helped us get this project completed quickly. You also completed everything we asked you to and worked on it until it was exactly like we wanted. We will definately come back to you when we have another need for a web project and we will gladly recommend you to our business associates." 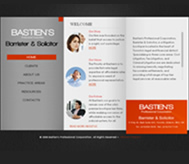 "Just a quick note to thank you for all of your assistance on my website development project. Our website has been live for over one month now and is working beautifully. I often get comments from clients and visitors who love the site. Developing the site jointly with the Entheos team was easy, your understanding and execution of my needs made the project smooth and ensured it was delivered on time and within budget. 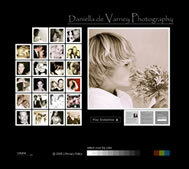 I am looking at other templates on your site to use with clients who are redeveloping their web sites. Templates keep the costs down, make the whole project so much faster and ensure satisfaction as we are able to see before project commencement what the finished site will look like. " "I have to admit that when I started to work with Entheos I was a little Leary of working with a company a world away. My fears were quickly put to rest as the Entheos staff returned every email, answered all of my questions and customized my website to what ever I wanted it to look like. Entheos worked quickly and finished my website in less then a week. Rekha the Web Designer was in constant contact and the process was very smooth. 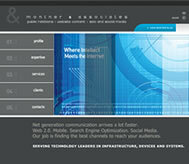 I would recommend anyone looking for a professional website design to use Entheos. I know I will use them in the future for all of my website needs... You can check out our website at www.youthemssa.com"
"Thank you Entheosweb, for being so easy to deal with, you have shown a friendly & welcoming service as well as performing to a high professional standard. I could not have asked for a simpler Company to have dealt with. You ideas & technology is second to none & I have gone on to recommend you for 2 further projects. I will without a doubt use you again, when it comes to updating my site. Thank you once again." "To anyone considering working with Entheos, I highly recommend them. I have been working with them since 2006 and have found them to be highly responsive and committed to customer satisfaction. 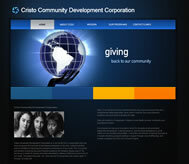 They produce beautiful and sophisticated designs and highly functional Web site templates at an astoundingly low price. In my case, we kept costs low by customizing a full Flash site template. As a high tech PR firm that competes successfully with the largest agencies in the world, our image is very important. Entheos enabled us to produce a Web site that looks like it cost tens of thousands of USD for only a few hundreds. Recently, we upgraded montner.com and kept our costs low by sharing the development work. The Entheos team pitched in and did the Flash programming while we did the copy and image edits. They were fast, affordable and delivered a high quality result. " "Initially we were to create a hair salon website from scratch however once we shopped around and received a few quotes we realized the price far exceeded our budget. We started looking at hair salon templates and we realized we could customize one to our needs at almost 1/8th the cost of a complete new website. The folks at Entheos were very quick and very professional with their response and assistance. All our requests were met and they exceeded our expectations. We would recommend to anyone that is looking for some website work to consider Entheos as their price and service is fantastic. They were very professional and patient with us and we are very pleased with their work." "I want to let you know how pleased I am with the work you and your staff have done in creating my web site. It's been up about two weeks now and the response has been tremendous. Because of my site, I am currently being considered for several high end ad campaigns. I was very specific in my request that you keep it "clean and simple". Your work far exceeds my expectations. My web site has just the right amount of flair and remains very user friendly. It frames my images perfectly. So many of my clients and colleagues are shocked at how affordable your services are. Your quality of service; punctuality, creativity and professionalism can't be beat. I look forward to working with you again." "I can't sing enough praises about the team at Entheos! Having absolutely no experience with websites, I completely trusted that everything would be accomplished successfully with the manner in which they handled me as a new client. They were proffessional, competent, responsive, creative and delivered a website above and beyond what I expected in less than a week as promised. Moreover, the prices are unbeatable and the product undeniable! I've received several compliments already on how beautiful my site is and I feel very fortunate to have been turned on to Entheos to help represent my work as an artist. I'll definitely be back for more." "We are so pleased with the Quality and level of Service that we received from Entheosweb. 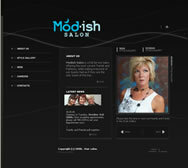 The Template was perfectly in-line with the Theme of our Salon, a very Modish site for Modish Salon. The level of urgency and patience that was given to meet our opening and the numerous changes that we submitted at the last minute, far exceeded our expectations. As an IT Professional, I do not impress easily and your Company very much impressed me. The best part, was going into this with a very specific IT Budget, your cost to purchase and customize our Template actually saved us money in our over-all budget and all of our Friends, Family and Customers just go on and on about “how cool” our site is. Thank you very, very much and once again, GREAT JOB! 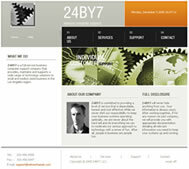 I highly recommend your company to anyone needing a web-site. 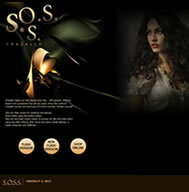 "What a pleasure it has been to work with Entheosweb Team on our daughters website project. From the beginning you "got" our vision and made it a reality. 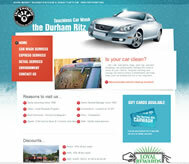 The site not only has the clean graphic look we were looking for but the functionality is flawless. Your attention to detail was greatly appreciated and your on-going service has been impeccable." 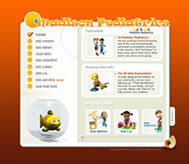 "Thank you so much for you hard work and your diligence in getting this website finished. I appreciate it and I love the website. Great job!!" "I have significant experience in the internet arena (working in IT services for ten years for and with Fortune 500 companiesin New York metro area). So, my comments come from a broader perspective than someone with no experience. Having said that.... Rachna and Entheos web are fantastic. Very inexpensive. Good quality work. Responsive. Excellent. Have used them a few times, and would unhesitatingly use them again." "I would recommend Entheos template customization work to anyone, as a part time web developer my self, I just don't have the hours that it takes to fill in complex templates, and flash logo's, never in all my life have I worked with such dedicated and professional web developers, all three of our projects where done within a week just to our specifications, and with their affordable rates, we where even able to do a project for a friend and make a few bucks on the side. With multiple payment options, including paypal we where able to get started right away, thanks a lot Entheos."